​Nathan binges his favorite sci-fi/fantasy to escape the sad reality of his life. Sadly, there is no escaping it. 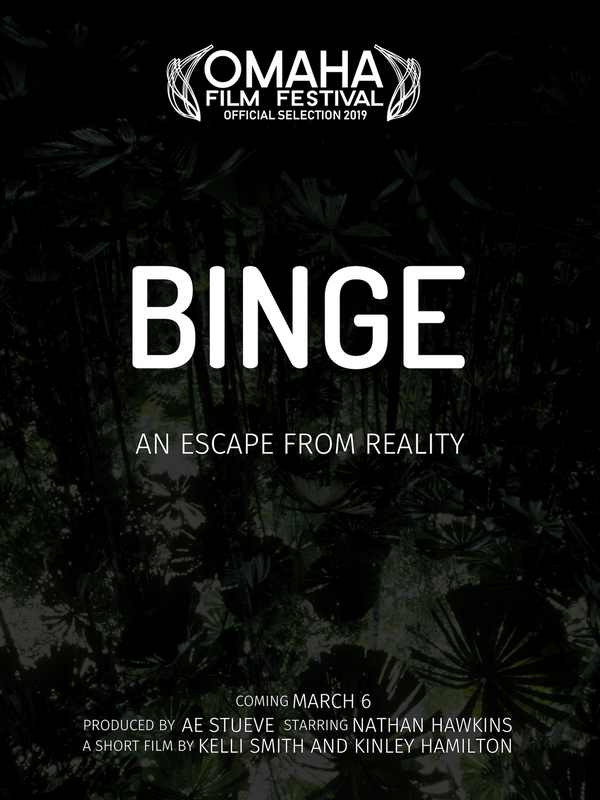 "Binge" will screen March 6 at the 8:35pm as part of the Nebraska Short Films Block at the Omaha Film Festival. Kelli Smith​ is a senior and the executive director of Bellevue West High's Video Yearbook and news website, TheThunderbeat.org. She is a perfectionist, dog lover, and self proclaimed makeup artist. She is also the Bellevue West High DECA Chapter President and is involved in NHS, Congressional Awards Club, and STUCO. Follow her instagram's (@kellismithh & @getscreenedprp) and her twitters(@mallorykelli & @getscreenedprp). Kinley Hamilton is the Director of Bellevue West High's Video Yearbook and news website, TheTheThunderbeat.org. She’s also involved in West High Singers and is a reporter for The Thunderbeat, Bellevue West High's print newspaper. Follow her on Instagram @kinley.hamilton. Nathan Hawkins is the Managing Editor and Sports Editor for Bellevue West High's newspaper The Thunderbeat and news website TheThunderbeat.org. He joined staff as a reporter in his sophomore year, and he is excited to help lead the staff as a senior. When he’s not writing for The Thunderbeat and TheThunderbeat.org, Nathan is often watching sports, especially his beloved Green Bay Packers.